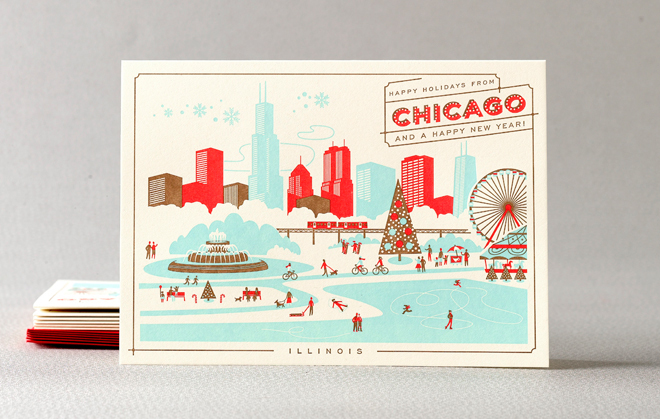 Giveaway: Get your holidays on with Minted! I don’t know about you but I’m starting to rev up my holiday planning. From events to decor I really need to (quoting my lovely mother) get a wiggle on! One thing I need to do is my holiday cards. Last year I fumbled together a mismatched bunch of cards that I bought on sale after the Christmas before and sent them out. And that totally works but it is so nice to send out something that is a bit more personal. Luckily there is a place where you can order fabulous custom holiday cards. Enter Minted. This is a great concept. Not only to we the public get access to designs that we might not see in a regular retail store, but the designers also get a forum to build their careers and get exposure to the public. That is a WIN-WIN if you ask me. And for those of you who don’t really want to send out cards with an awkward picture of yourself on it (um, I definitely fall into that category) there are non photo cards as well! They have various types of cards types and shapes – postcard, petite cards, ornament cards, foil-pressed cards, you name it. And since it’s late-(ish) in the holiday planning season, there are also selected cards that they can do express printing to get them to you sooner. And you can get pre-addressed envelopes for no extra cost. You just have to upload your addresses when you order! Kind of awesome. Head over to their website and see for yourself! And now for the goooood part….I am giving away a $50 credit to Minted! To enter, just leave a comment below! For an additional entry tweet “Win a $50 credit for holiday cards from @minted and @lgrecreated http://recreated.ca/2013/11/17/giveaway-get-your-holidays-on-with-minted” and provide another comment saying that you tweeted. (2 entries max per person). Contest ends Thursday, November 21, 2013 at 10 pm EST and I will announce the winner on Friday, November 22nd! I had a great weekend with my visiting with my parents (which isn’t finished because I have today off, WOOHOO!). We went to the Royal Winter Fair, the Bond exhibit at the TIFF Lightbox (which I would highly recommend if you enjoy the Bond films) and did some shopping. Good times. 1. 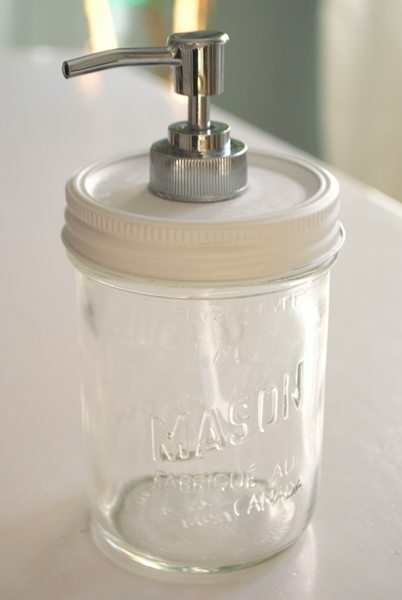 Gemma at The Sweetest Digs shared this great Mason Jar soap dispenser DIY last week. So nice and SO simple for anyone to try! Love. 2. Is this not the perfect holiday dress? J’adore. Spotted over at the ever stylish Sarah Russell Interiors blog on Friday. 4. Don’t these look scrumptious? I found Lara Ferroni’s recipe for Chocolate Coconut Caramel Cookies on Design Sponge this week. For the holidays you could add a little red icing bow at the bottom and make them wreathes! 5. This is awesome. A DIY Mini Marquee Sign with lights from Oh Happy Day! And it actually appears to be easier than it looks.